This course is free for you, this weekend only! Happy Holidays! Have you ever wanted to Sculpt an amazing, life-like baby face? You can download these videos or watch online, and learn my secrets right away! The SnuggleBabe videos will teach you step by step, slowly, each sculpting motion. The second set of videos is a real-time sculpting session, where you can watch me sculpt a babe (again) from start to finish, without pausing to give instruction. The last video contains bonus features, more tips, and process photos of yet another Snuggle Babe coming to life. 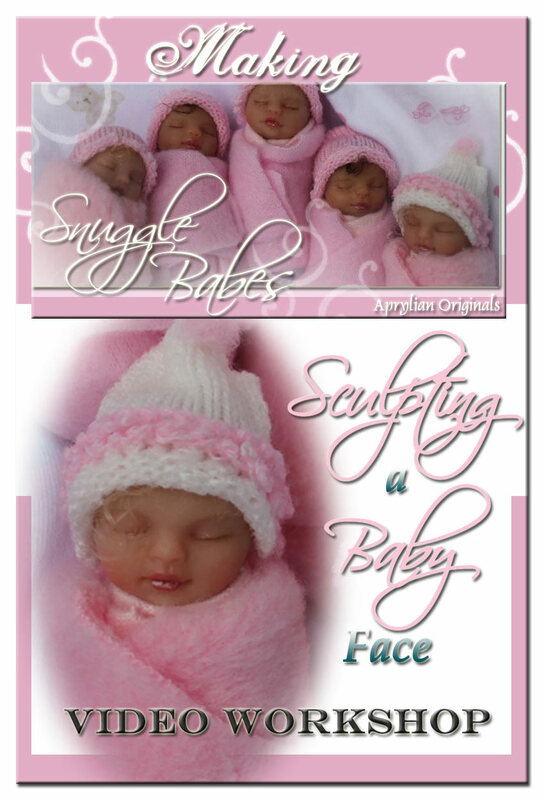 If you've ever wanted to learn to sculpt babies, Snuggle Babes are a great way to start. Total video time: approx 2 1/2 hours. Snuggle Babes are Miniatures, usually around 2 1/3 to 3 inches long. They are breath-taking! This video is offered for a limited time for only $19.98.